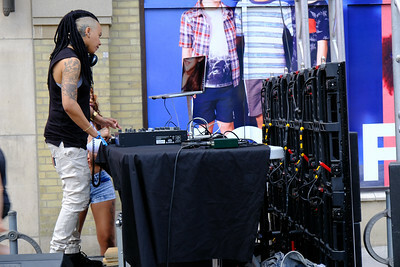 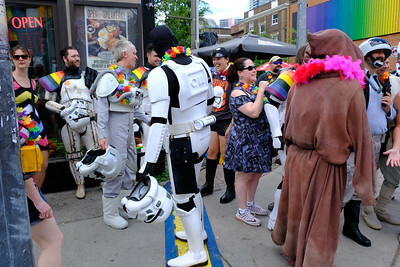 Another great Pride weekend has come and gone in Toronto. 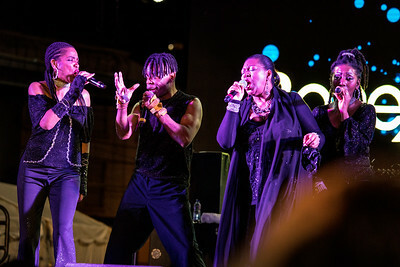 Here are a few highlights from various activities and entertainment that took place over the weekend. 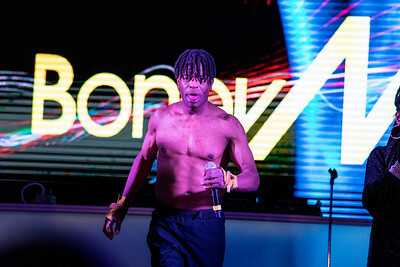 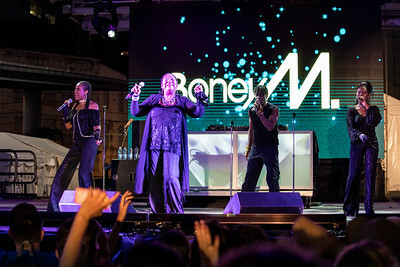 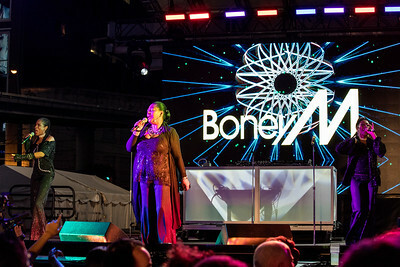 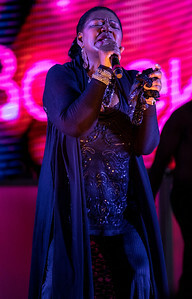 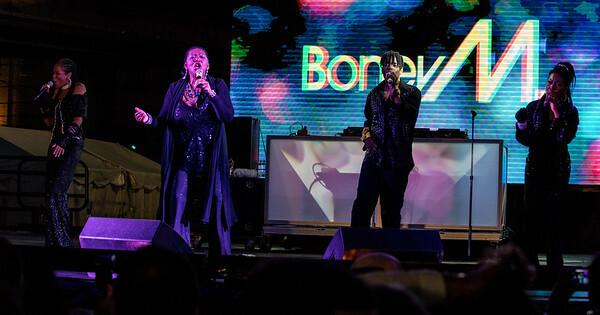 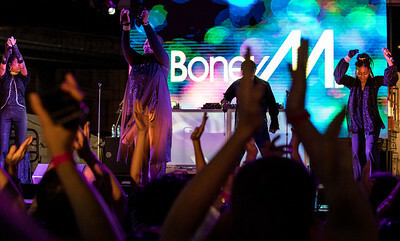 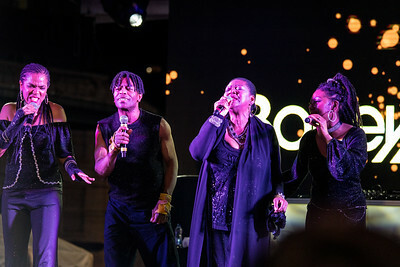 On Friday night, Boney M. (yes, that Boney M. of 1970s & 80s fame) gave a knock-out performance to a capacity crowd at Yonge-Dundas Square. 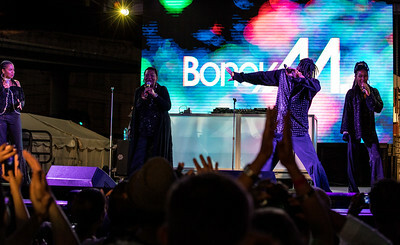 They've still got it after all these years, and they looked and sounded fantastic - the crowd really went crazy for them. 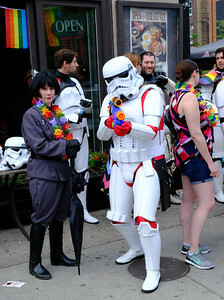 Also in this gallery you'll find random Church Street shots from Saturday's wanderings, along with shots of the Dyke March that day. 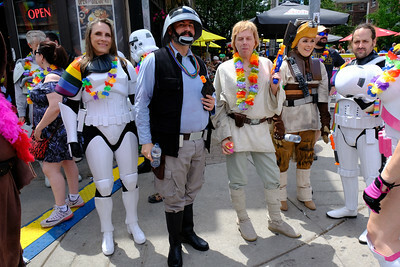 For the first time in many years I went to the Pride Parade on Yonge Street - which was led by our illustrious PM, no less - on Sunday and managed to grab some fun shots of the event.